Sat., April 22, 2017, 9:17 a.m.
SALT LAKE CITY – Chris Paul and his Los Angeles Clippers teammates are more concerned with supporting Blake Griffin than worrying about Game 4 against the Utah Jazz. They will focus on that game later. Griffin was ruled out for the remainder of the playoffs after injuring his big toe during Friday night’s win against the Jazz. “It’s tough … as much as me and big fella have been together,” Paul said. “You just hate for dumb stuff like this to happen when you know how hard somebody works. Everybody doesn’t get an opportunity to see that. For somebody who’s as dedicated to the process and the training and the working out and all that stuff like that, for something to happen, you hate to see it. The team announced Saturday that the five-time All-Star was diagnosed with an injury to the plantar plate of his right big toe. Griffin left Game 3 with 3:18 remaining in the second quarter after landing awkwardly following a transition layup. He had 11 points, six rebounds and two assists in 18 minutes, and the team said at the time the injury was a bruised toe. X-rays at the arena were negative, but he was re-evaluated after the game. Griffin averaged 25 points in the first two games. Clippers coach Doc Rivers said the injury actually happened on the play before the layup and added Griffin knew immediately that it was bad. The former No. 1 pick will remain in Salt Lake City, wearing a walking boot and will return with the team after Game 4 on Sunday. Rivers said surgery is a possibility. His injury marks another playoff blow to a franchise that has dealt with a series of bad luck and internal turmoil in recent years. Griffin and point guard Chris Paul were lost to injuries last year, and the Clippers blew a 3-1 series lead against Houston in 2015. During the 2014 playoffs, voice recordings of then-owner Donald Sterling making racist comments surfaced, leading to him being banned by NBA Commissioner Adam Silver, who forced the sale of the team. The Clippers were up 2-0 in 2013 before losing to Memphis in six games after Griffin stepped on teammate Lamar Odom and injured his ankle. Rivers said he believes in the karmic-like presence of the “basketball gods,” but not in any kind of Clippers curse. The Clippers run much of their offense through Griffin and he’s one of the best passers on the team. Rivers said they’ll play both big – with Marreese Speights and DeAndre Jordan – and small for stretches. He doesn’t want to put too much of a load on Paul to make up the difference. The Clippers rallied for a 111-106 victory, with Paul scoring a season-high 34 points and the offense running through pick-and-roll between Paul and Jordan. The Clippers have been without injured backup guard Austin Rivers (strained left hamstring) for the first three games of the playoffs and Rivers said he’ll miss Game 4. “The game plan will obviously be a little different, but we’ve still got to come prepared to play,” Jazz forward Joe Johnson said. 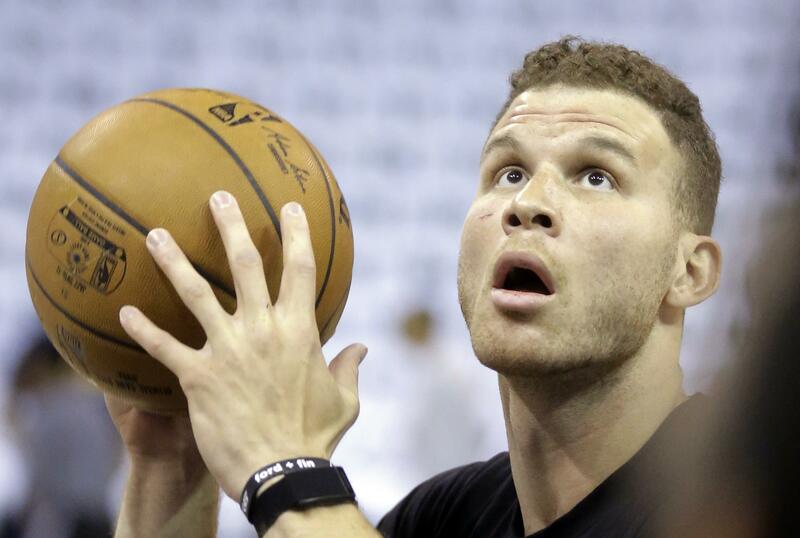 “It could cause for the Clippers to be a dangerous team without him. … Last night was kind of a carbon copy of what happened to us in Game 1, only Rudy (Gobert) went out first play. Published: April 22, 2017, 9:17 a.m.